If you follow me on social media or have read a few posts on my blog, you probably already know just how much I love London. I moved here in 2002 just before my 22nd birthday and lived in West London for 8 years before Pete and I upped sticks in 2010 and headed to SE London in search of an affordable area to buy in. 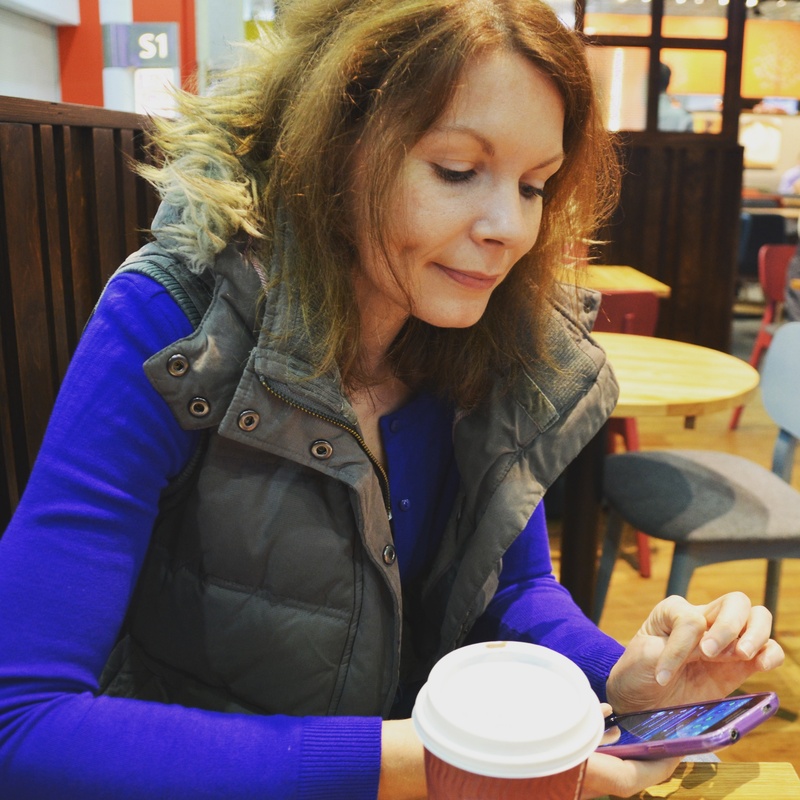 I fell head over heels in love with South London – more space, more parks, a slightly slower pace of life but still just 20 minutes from the centre. There are so many beautiful areas in this part of the city that it truly offers something for everyone and we’ll certainly never go anywhere else. 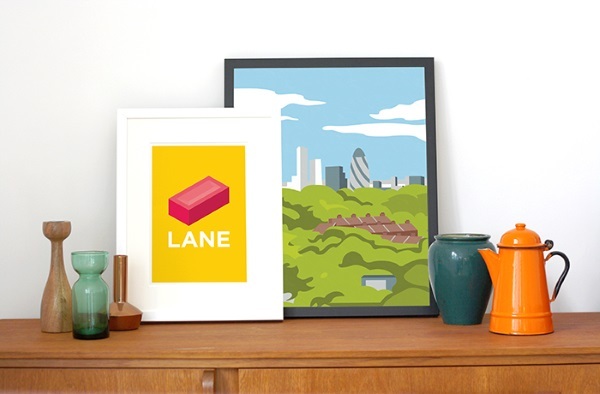 Somebody else who loves here just as much as we do are the lovely people at Place in Print, a London-based design studio, manufacturer and retailer, specialising in locally themed art, homewares and gifts. They even have a studio in Forest Hill, which is where we lived before relocating a couple of miles down the road. Having crossed paths with Place in Print at various markets with DaisychainBaby, I’ve long admired their creative, design-led prints featuring London and, more recently, surrounding areas. 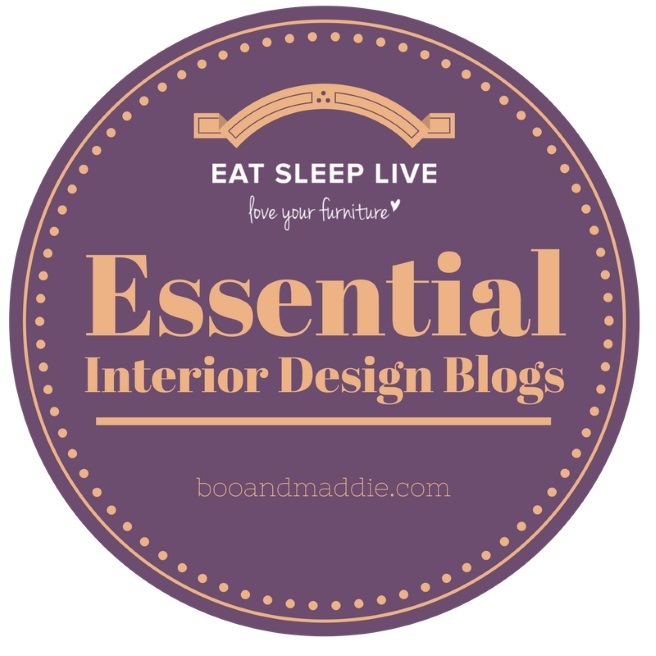 Using fresh colours and modern style, they produce a range of items which would look stunning in any home, even for those who aren’t as crazy about London as we might be. 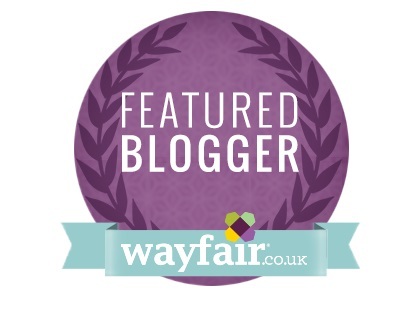 I was delighted when Nancy got in touch and asked if we’d like to host a competition and instantly said yes! 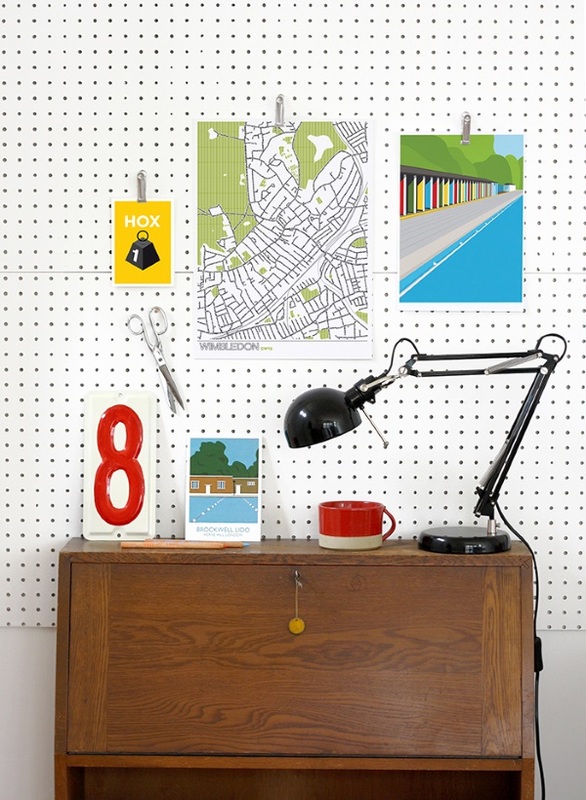 The prize is a beautiful framed print of London postcodes. 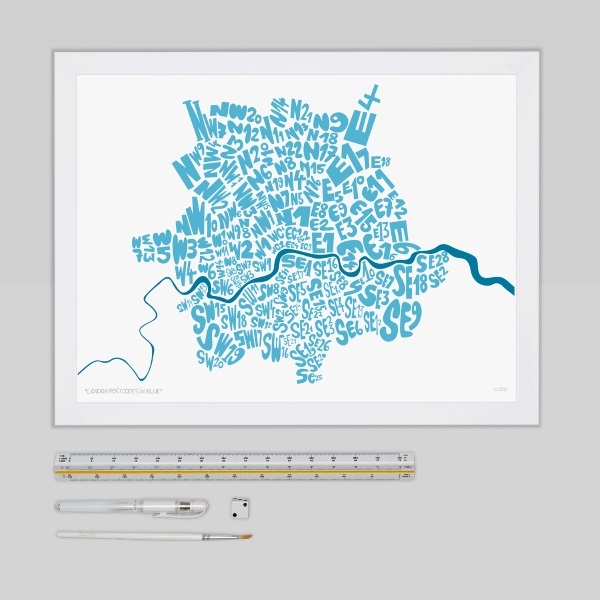 This limited edition numbered giclee print depicts the geographical location of each of the Inner London Postcode areas. Each postcode has been hand-drawn to scale in order to represent the size of the postcode area. The River Thames is also shown, including the location of road bridges that cross it. The print uses two shades of blue to create a striking impression. To win, please enter the rafflecopter below by 10pm Friday 31st July. The prize is open to UK residents only and a winner will be announced shortly after closing. I like the London Postcodes in blue. I like the “Eat Dulwich Street Typography” Print! I would absolutely LOVE to give this to my mum as the street where she lived on is on this print! love the centre court wimbledon one! 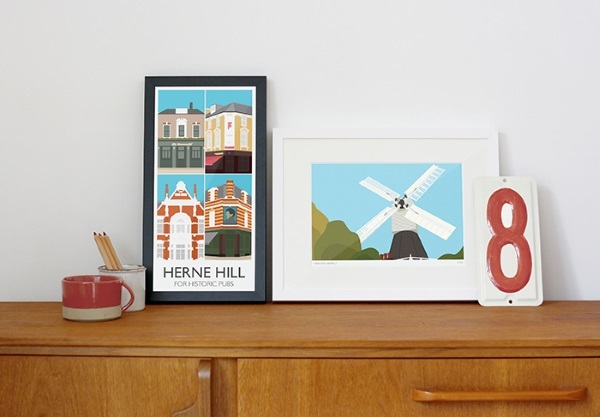 I like this, http://www.placeinprint.com/products/prints-posters/place-print/greater-london-boroughs as greater London is where I grew up and where my mum still lives today, but you have so many great pieces it’s hard to choose just one! I love the postcodes in blue….shame there isn’t more North London bits! I love the horseman museum walrus print!